Natron™ SilTex™ silicone ink is a two component multi purpose screen printing silicone ink. This ink is formulated for Direct printing, Transfer printing, and 3D printing. We developed this silicone ink with the purest silicone polymers. This was to ensure that prints are durable and deliver the ultimate stretch and feel on textiles. And, unlike standard screen silicone printing inks, this ink comes ready to use. There are no toners. Just ink! Simply, add catalyst to the ink, mix, and print. It's that easy. This unique feature eliminates guess work, saves time, and the headache of mixing toners, so that you can focus on your business - printing. Click here for Step-by-Step printing instructions. These silicone textile printing inks are formulated for printing onto most textiles. This includes both smooth polyester and performance fabrics. - Textiles printed with SilTex have a rich, expensive, and soft feel. This look and feel cannot be achieved with plastisol inks. This enhances the aesthetics of any textile or product printed with this ink. - Also, SilTex Silicone inks are very durable. Products printed with SilTex will withstand numerous washing and abrasion resistance. - In addition, these inks are PVC free. Solvent: While not required, add SilTex Solvent to alter viscosity. Use the solvent when printing transfer labels. Note that adding solvent will reduce the ink viscosity, and slow drying time. Drying: Dry the prints 212°F - 250°F (100°C - 121°C) for 60 seconds. 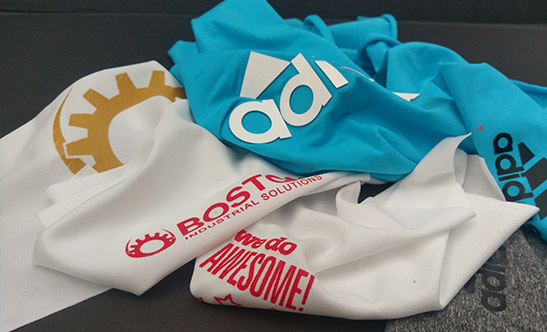 Printing: Use 100 - 160 Mesh screens to print with SilTex silicone inks. For transfer printing a special adhesion layer 512.900 and several hotmelt powders (polyester and TPU based) are available. Adapted viscosity of the inks makes them ideal for automatic cylinder presses and/or semi automatic presses. Simply, add catalyst to the ink, mix, and print. It’s that easy. This unique feature eliminates guess work, saves time, and the headache of mixing toners, so that you can focus on your business – printing. Click here for Step-by-Step printing instructions. – Textiles printed with SilTex have a rich, expensive, and soft feel. This look and feel cannot be achieved with plastisol inks. This enhances the aesthetics of any textile or product printed with this ink. – SilTex Silicone inks are very durable. Products printed with SilTex will withstand numerous washing and abrasion resistance. – The inks are PVC free.